In all of this, of course, one had also to reserve the highest praises of Mr Bernardo, composer and guitarist in the great tradition of Brasilian instrumentalists, and also a co-conspirator together with the ineffably brilliant Mr Orbegoso. To that list one has now to add the robust genius of Jeremy Ledbetter, a composer virtuoso pianist in his own right and who we must now acknowledge as a masterful arranger and orchestrator, and orchestral conductor as well. This magnificent surprise was served up on the 13th of October 2018 at a performance at the Al Green Theatre in Toronto. 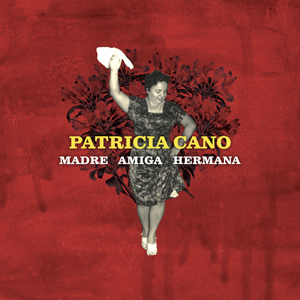 The evening featured music from the new Patricia Cano Songbook – “A beautiful gift from Jeremy to me,” Miss Cano acknowledged. Mr Ledbetter’s brilliant orchestral interpretation of Miss Cano’s music was an ambitious one and was all the more impressive with the presence of the Canadian Sinfonietta, conducted by him (together with Miss Cano’s quartet that featured Mr Bernardo, Paco Luviano on basses, Mr Orbegoso on percussion and voice, and the quartet’s new member Juan Carlos Medrano also on percussion. Even if Mr Ledbetter’s approach to conducting may have dismayed some traditionalists, his own performance – certainly as orchestrator and his debut as conductor – absent of clichés, possessed an integrity and power commensurate with the music of Miss Cano and Mr Bernardo. The music showed Miss Cano heading into the vivid countryside of her art, the dramatic and renowned elegance of her voice drew us in as we magically became part of its natural landscape that mixed beauty and danger, the sounds of children birds, trees and wise near mythic ancestors. It was beautifully evocative of warm nights and blazing days, each song taking us to some wild and beautiful place with a trusted and inspiring musical friendship that we had now forged thanks to a sublime artist who shared her experiences with such naked honesty and generosity. The Canadian Sinfonietta was flawless and seemed to revel in the challenges of the Afro-Peruvian (and occasionally Brasilian) music. The strings were opulent and Aleksander Gajic’s star turn when he was called upon to solo with the quartet was voluptuous and sublime. Indeed the entire ensemble gave a characterful performance full of lagrima-filled laments and thrilling crescendos. It was a riveting evening, somewhat amusing at times, especially as the aria-like supremacy of Miss Cano’s vocals was often met with loud and unrestrained audience cheering; a vision of what brilliant opera by bel-canto singing sensations might have once elicited before the days stuffy opera etiquette. Of course it was an evening to remember because Miss Cano, who had recently recovered from a touch of the flu, managed to absolutely soar into the night. Framed attentively, eloquently and imaginatively by Mr Ledbetter shepherding of the music played by the Quartet and the Sinfonietta Miss Cano was literally sublime. Her newly orchestrated version of “Juana Guerrière” was imperious, “Mi Maru”, the landó written for her son was absolutely beckoning and this (orchestral) version of “Toro Mata” was sans pareil. Throughout the evening one had a sense that despite her enormous previous achievements, somehow she had managed to surpass them all. Miss Cano’s artistry is now in a rarefied realm. Her voice is now at once rich and at its opulent best as we heard from the whispered first bars of “Juana Guerrière” through the rousing savagely expressive crescendos of “Toro Mata” and beyond. She was giddy and girlish when the music called for it and seductively adult at other times. 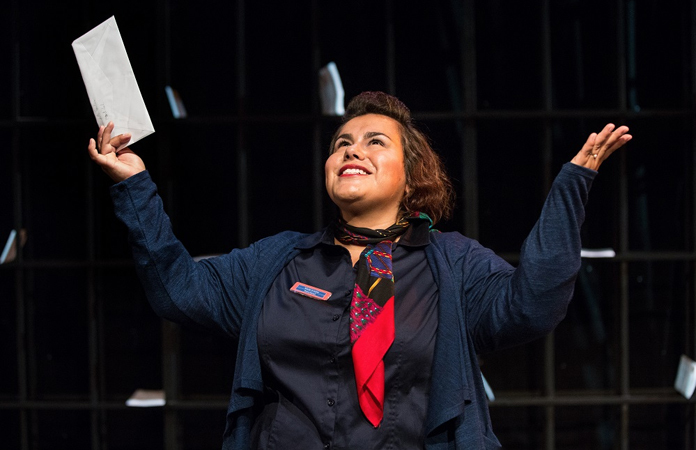 Indeed it was very much the kind of one-of-a-kind Patricia Cano show, one which gives and will surely reiterate the belief that few, if any, performers can reach the level of brilliance attained by an artist as unique to music and musical theatre as the incomparable Patricia Cano.